The Google Pixel 2 will be available at Rs 39,999 “or lower” during Flipkart's Big Shopping Days. Flipkart will be offering a Rs 2,000 discount on the Xiaomi Mi A1 and it will be available at Rs 12,999 against its previous price of Rs 14,999. Flipkart has announced its Big Shopping Days sale from December 7 to December 9. 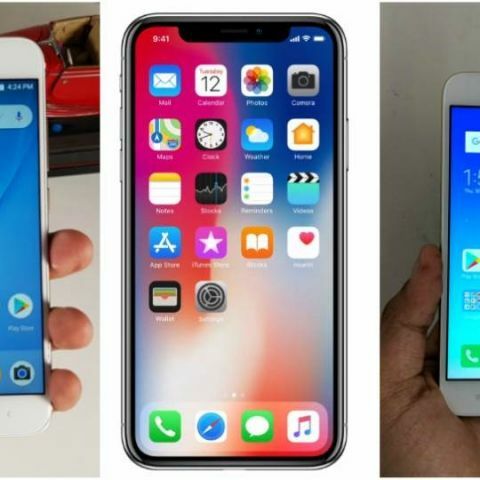 As per a sneak peek at the upcoming sale, the online retailer will be offering lucrative deals on smartphones like the Pixel 2, iPhone X, Xiaomi Mi A1, iPhone 7 and more. Flipkart will also be launching Xiaomi’s “Desh Ka Smartphone”, the Redmi 5A during the sale. We list out some of the best deals to keep an eye on from upcoming the sale. Flipkart will be offering the Google Pixel 2 smartphone at Rs 39,999 "or lower" against its listed price of Rs 61,000. It’s a Rs 20,000 discount on Google's smaller flagship smartphone. The 32GB variant of the iPhone 7 will be up for grabs at Rs 39,999. The device was previously listed at Rs 44,999. Clubbed with the exchange offer, buyers could get the device at a further discounted price. Xiaomi’s first Android One smartphone, the Mi A1 will receive a discount of Rs 2,000 and will be available for Rs 12,999 against its launch price of Rs 14,999. Apart from the above-mentioned smartphones, Xiaomi’s “Desh Ka Smartphone”, the Redmi 5A will also be launched during the sale. It is priced starting at Rs 5,999 for the 2GB RAM/16GB ROM, however, Xiaomi is offering Rs 1,000 off for the first 5 million buyers, thus lowering the effective price to Rs 4,999. The Micromax Canvas Infinity Pro will be up for sale starting November 7 midnight along with The Infinix Zero 5 Pro. Flipkart will be offering a buyback offer along with a no cost EMI options for devices starting at Rs 833 per month and users will also be able to get up to Rs 18,000 off on exchange.